Cor de Heijde can look back on another exquisite 2018 season, winning for instance a 1st National Agen (6,379 p.), as well as a 4th and 12th National Barcelona (3,912 p.), the race in which he also had the best overall result at national and international level. The descendants of Klamper have once again demonstrated their potential in the marathon competition. The racing pigeons of Cor de Heijde have yet again shown what they are capable of in the marathon competition. They added several early arrivals and overall top results to their palmares in what turned out to be an unusually demanding season indeed. Unsurprisingly, most of these pigeons were related to the Klamper bloodline. Click here to reread our report on the Klamper dynasty. 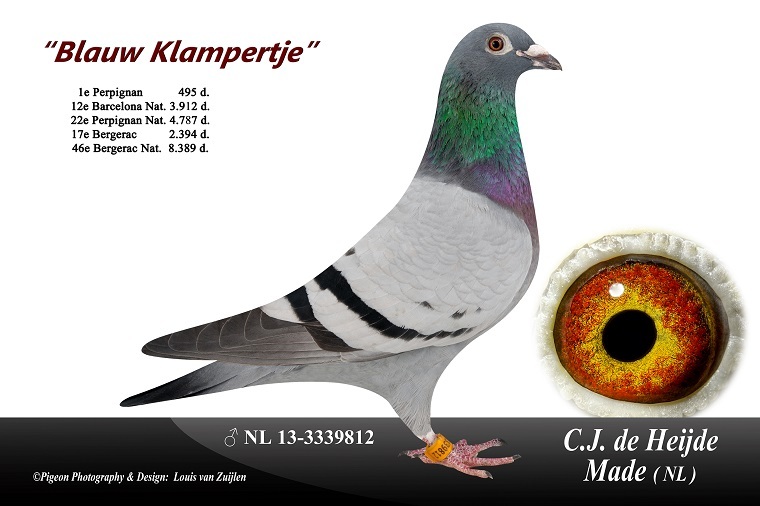 And the best pigeons of 2018 were again closely related to the best Klamper descendants: Jonge Don Michel, Naomi, Coming Man, Marianne, Blue Dream, Kleine Blauwe, De Cor, and others. Click here for an overview of some of today's stars with Klamper origins. Besides their various national victories, they have also had some stellar results in Barcelona, with the 2015 edition being particularly memorable. Cor not only finished in 2nd place national; an additional ten pigeons with Cor de Heijdt origins were able to finish in the national top 60 that day, for loft both in Belgium and The Netherlands. Those ten top 60 prizes are listed here. In 2018 Cor claimed a national first prize from Agen and he was outstanding in Barcelona again as well. We will talk about his best racing birds in a moment but we start by discussing some of the champions that have been crucially important for this team and their recent successes. Blue Dream :  1st Nat. Barcelona  1,742 hens. 2nd Nat. Barcelona  5,183 p.
Diamantje  :  4th Nat. Barcelona  3,912 p.
9th Int. Barcelona 15,700 p.
Smaragd    : 10th Nat. Perigieux  4,921 p.
1st Prov. Barcelona   566 p.
1st Prov. Perpignan   381 p.
94th Nat. Barcelona 7,046 p.
100th Nat. Barcelona 6,392 p.
17th Nat. Perpignan 4,978 p.
74th Nat. Perpignan 5,608 p.
1st Prov. Barcelona    385 p.
6th Nat. Barcelona  5,423 p.
6th Int. Barcelona 20,669 p.
1st Prov. Barcelona    566 p.
29th Nat. Barcelona  6,909 p.
72nd Int. Barcelona 25,292 p.
107th Nat. Perpignan  5,616 p.
27th Nat. Perpignan 6,414 p.
55th Nat. Perpignan 4,789 p.
178th Nat. Perpignan 4,027 p.
140th Nat. Barcelona 5,183 p.
999th Nat. Barcelona 5,423 p.
Marianne claims a 1st National of 9,672 pigeons in the 2014 race from St. Vincent, which was a very demanding flight. Marianne is a daughter of Inteelt Klamper x daughter Perpignan duivin, and this makes her a full sister of a 1st Cahors (4,939 p.), a 6th Nat. Narbonne (4,303 p.), an 80th Bergerac (4,096 p.) and a 91st Nat. Pau. Click here for her full pedigree. And she is now the grandmother of a 6thNat. Bordeaux ZLU (4,776 p.) and a 10thNat. Bordeaux (9,852 p.). Blue Dream is a daughter of top breeder Jonge Don Michel, which we just talked about. 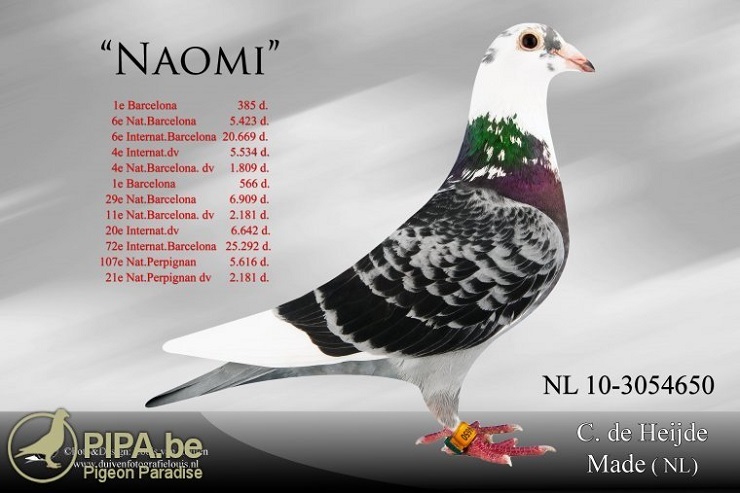 Blue Dream wins a 2nd National and 4th International Barcelona in 2015 against 5,183 pigeons and 19,089 pigeons respectively. For the full pedigree of Blue Dream, click here. 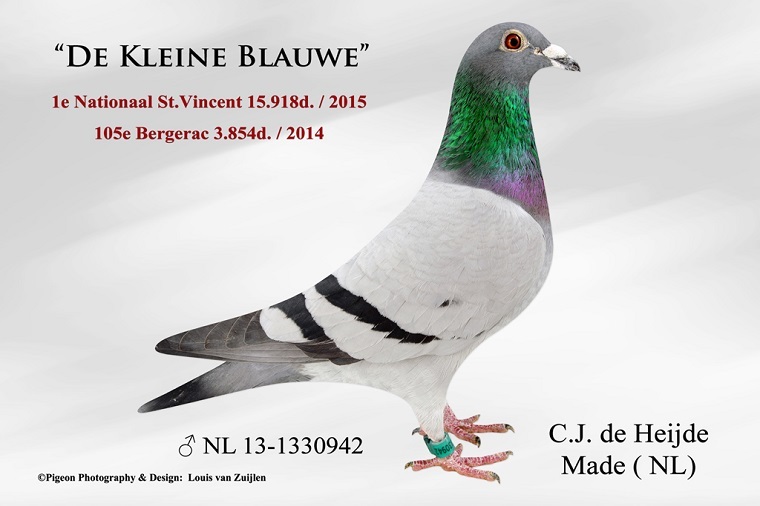 Kleine Blauwe is a grandson of Olympiad Pigeon Boemerang (cat. Marathon 2011). This Boemering is closely related to Klamper, and he did great in 2010, winning a 7th Nat. St.Vincent (11,180 p.), an 8th Nat. Tarbes (7,487 p.) and a 23rd Nat. Dax (12,128 p.). You can tell from his pedigree that Kleine Blauwe is in fact related to several national winners. Kleine Blauwe himself won a 1st Nat. St. Vincent of 15,918 pigeons, and he claimed a 105th Nat. of 3,854 pigeons when he was still a yearling. 1st Nat. Bergerac 8,389 p.
30th Nat. Bordeaux 9,696 p.
It is quite clear that these pigeons, many of which are related to Klamper, have had quite a bit of success over the years. And we saw the Cor de Heijde pigeons get some excellent results at national level again in 2018. 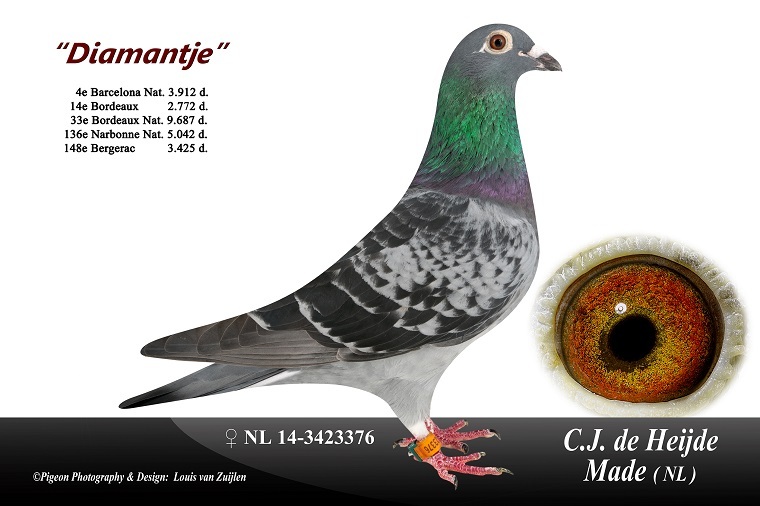 Diamantje is a daughter of top breeder Jonge Don Michel (NL08-388593) x Dochter Favoriet. Favoriet wins for instance a 4th Nat. Dax (11,752 p.), a 33rd Nat. Cahors (13,185 p.), a 52nd Nat. St.Vincent (12,992 p.), a 65th Nat. St.Vincent (11,985 dp.) and an 82nd Nat. Bordeaux (13,242 p.). Click here for the full pedigree of Diamantje. 6th Nat. Narbonne 4,303 p.
This Cahors-duivin is a full sister of Marianne, winner of a 1st Nat. St. Vincent (9,745 p.). 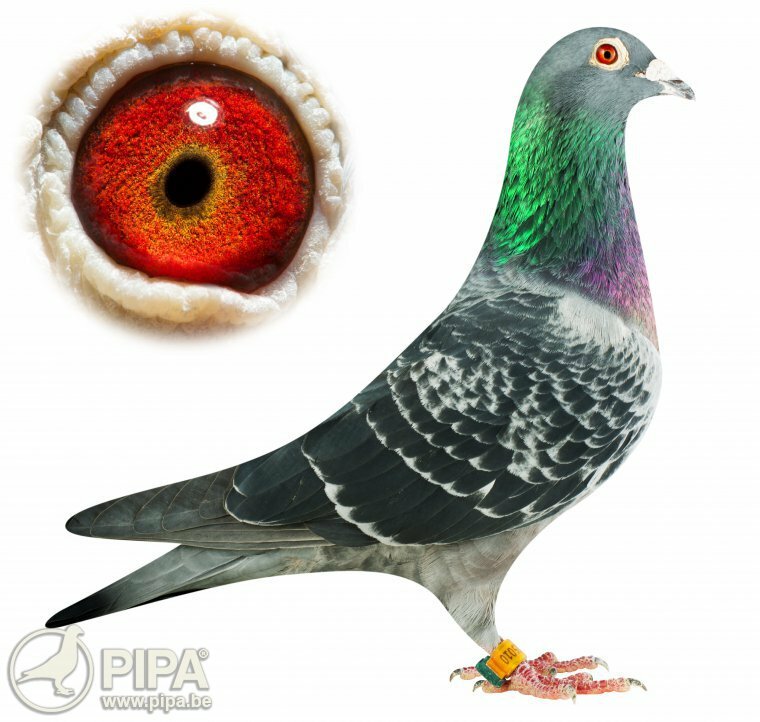 This pigeon is closely related to the legendary Klamper through both her parents. Click here for the full pedigree of Blauw Klampertje. And the winner in Agen is yet again closely related to Klamper, as you can tell from the pedigree. The sire is Don Michel, a grandson of Klamper. Our previous report on Cor's national first prize from Agen can be found here. Smaragd claimed a 10th National Perigieux (and a 17th Int. 13,348 p.) with a velocity of 851 m/min. 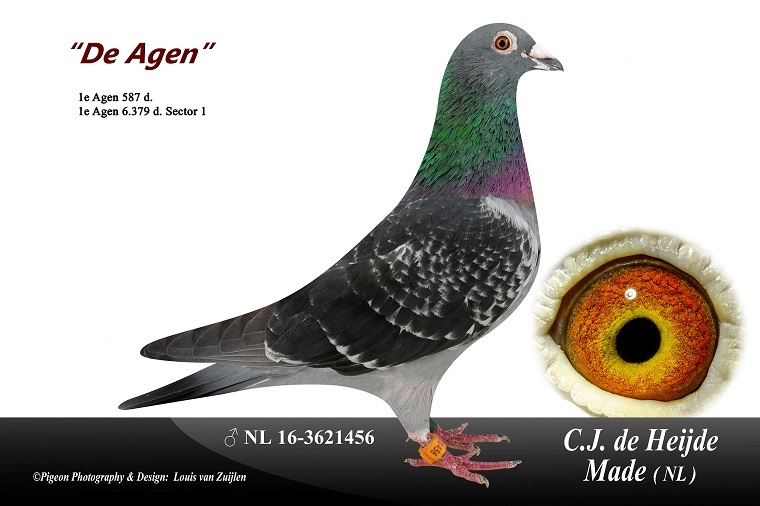 The sire of Smaragd is top breeder Jonge Don Michel (1st National Ace Pigeon ZLU Barcelona 2011-2012 and 13th Int. Ace Pigeon PIPA Ranking). Click here for the full pedigree of Smaragd. Blauwe Bordeaux wins an early prize in Bordeaux already as a yearling but he has now really started to shine as a two year old, winning a 22nd National (5,734 p.) and a 112th International (13,325 p.). The sire of Blauwe Bordeaux (from Brother Marianne x Daughter Don Michel) is again related to Klamper. Marianne has a 1st National St. Vincent (9,672 p.) to her name. The dam is a daughter of that same top breeder Jonge Don Michel, paired to super class hen Naomi. The full pedigree of Blauwe Bordeaux can be found here. 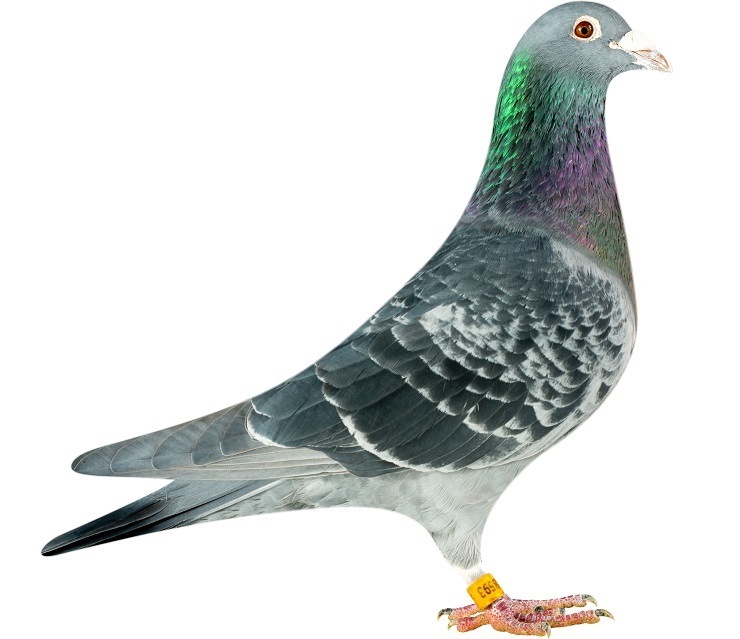 The 22nd National Bordeaux (sector 1) against 9,852 pigeons was won by Bordeaux-duivin. Her sire is a son of Brother Marianne x Marianne. As you know, Marianne claimed a 1st National St. Vincent (9,755 p.) and her brother wins a 91st National Pau (3,020 p.). The dam of this Bordeaux-duivin is NL11-424 (dochter van Boemerang). The 424 is also the dam of Kleine Blauwe (1st Nat. St. Vincent, 15,918 pigeons). Click here for the full pedigree of Bordeaux-duivin. 2nd Nat. Bergerac   4,662 p.
109th Nat. St.Vincent 7,823 p.
And the 473 is also related to the world famous Harry of Jan Hooymans (Kerkdriel); his dam was inbred to super class breeder Don Michel. For a complete pedigree of the 473 click here. Cor has won a lot, if not everything in the marathon competition, and Klamper and his descendants have been pivotal in this regard. Cor, as well as many other fanciers both at home and abroad, have been very successful with the help of this hidden gem. This bloodline has had many great results in 2018 alone, resulting in a long list of references from fanciers that excelled with the Klamper line in 2018. Cor claimed a 1st National Perpignan as early as in 1997, and his team continues to excel to this day, winning for instance a 1st National Agen and a 4th & 12th National Barcelona this season. 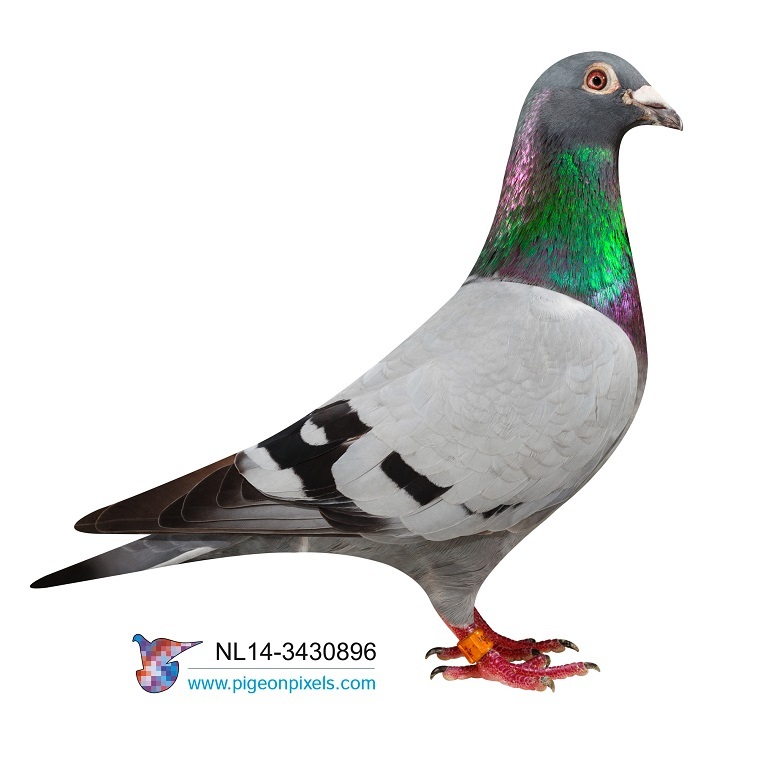 Needless to say, the Klamper bloodline has really left his mark on the marathon competition and on many pigeon breeds, including of course the Cor de Heijde pigeon family. To prove our point, we came up with an impressive list of references, even though this extensive list does not do the fantastic breeding qualities of Klamper and his descendants full justice. 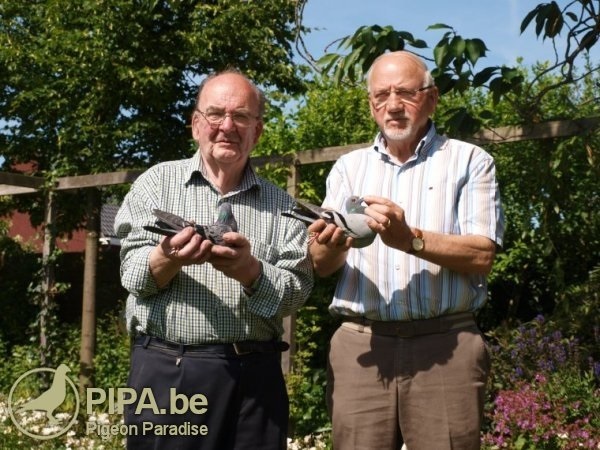 As we were writing this article, Cor got a message from Etienne Meirlaen saying that he had just won the title of 1st Ace Pigeon Extreme Long Distance in Belgium 2018. And the dam of this Olympiad candidate comes straight from grandmaster Cor de Heijde!